As a concentration within the Chemistry program, the Forensic Chemistry option expands the field of career options for chemistry and other science students. Forensic Science is an applied science, the practice of which requires the integration of scientific knowledge and skills in the examination, analysis, interpretation, reporting, and testimonial support of physical evidence. Forensic Science plays a crucial role in the criminal justice system. Most practicing Forensic Scientists are employed in crime laboratories associated with law enforcement and criminal investigations, or government agencies. Private laboratories also employ a few. While there are agencies that accredit forensic laboratories and certify Forensic Science degrees, neither accreditation nor certification is a necessary requirement for employment as a forensic scientist. Forensic Science requires a strong foundation in the natural sciences with extensive laboratory experience and the ability to apply these sciences to practical problems. Our chemistry curriculum provides the essential knowledge, skills and abilities that are a foundation of a career in Forensic Science. 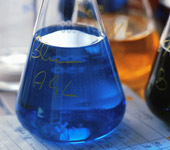 The curricula for both the traditional chemistry degree and the forensic chemistry option are online. Both programs lead to ACS certified Bachelor of Science degree. Intent to pursue the Forensic Chemistry option must be declared during the fall semester of the sophomore year. Consultation with the Department Chairman and completion of an intent form are required. *Chemistry Elective must be chosen from advanced chemistry courses: CHE 415, CHE 407, CHE 501-502. MAT 118 is not required for chemistry and biochemistry majors. However, if a student has a perceived deficiency in mathematics, he/she may elect to take MAT 118 during the summer or during the first semester of the freshman year. If you have any questions regarding the Forensic Chemistry option, please contact Dr. Isai Urasa ( isai.urasa@hamptonu.edu).